Imagine stepping into the shower on a chilly winter morning only to discover cold water? A hot shower or bath is one of the best ways to start your morning, so it’s no wonder why a lack of hot water can seem like a pretty big deal. Of course, this is not something that you should have to deal with forever, so it is best to hire a professional for your plumbing in Conyers, GA right away. There are a number of reasons as to why you might find yourself covered in goosebumps when you step into the tub, and below we have listed a few of them. Of course, only a professional plumber can diagnose the issue properly, but we figured we’d give you a bit of a head start. Keep reading to learn more! Posted in Plumbing | Comments Off on Eek! My Shower is Cold! Help! My Toilet Won’t Stop Running! 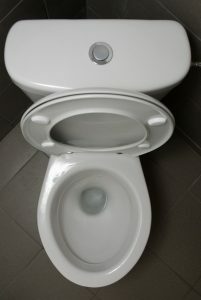 There is nothing quite as annoying as a toilet that won’t stop running, especially since you use your toilet nearly 7 times per day! Not only is it a nuisance to listen to, but often it leads to the inability to flush. In a busy household, that can certainly spell trouble! And if that weren’t bad enough, a running toilet can end up costing you hundreds on wasted water! Your plumbing in Lawrenceville, GA requires the hands of a skilled and experienced plumber, so it is important to schedule services at the first sign of this problem. There are numerous reasons as to why your toilet might be running, so below, we have listed a few of them. Posted in Plumbing | Comments Off on Help! My Toilet Won’t Stop Running!